The phone in question here is the BQ Aquarius E4.5 Ubuntu Edition. It’s now available for purchase on BQ’s website for €169.90, or about $181 US. This is the same price the phone was offered in via flash sales, but those are done. Want an Ubuntu phone and live in the EU? You can get one for less than two hundred euros. Make no mistake: BQ’s Ubuntu phone is a low-to-mid-range model. It offers a 540x960 resolution display, 8GB of internal storage, and 1 GB of RAM. But that’s to be expected. After all, it’s only 170 euros. You’d pay more than four times that price for a new, unlocked iPhone 6. With this announcement, Ubuntu Phone just became much more available. We’ve gone from no phones, to one phone you could maybe get in one region, to—finally!—the first Ubuntu phone that you can always get in one region. But don’t worry if you’re not in Europe. The BQ Aquarius E4.5 Ubuntu Edition is just the tip of the iceberg. Canonical’s own website says there are “more Ubuntu phones coming soon.” And we know that Canonical is working with China’s Meizu on a Ubuntu smartphone. 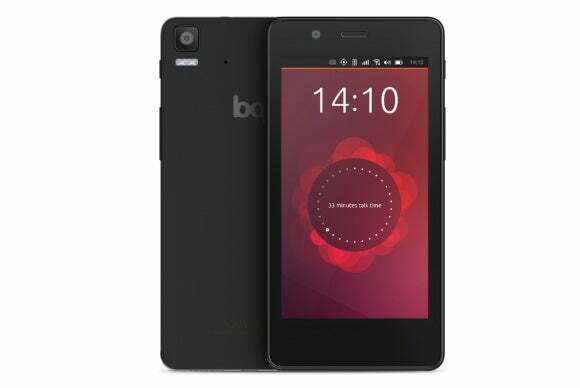 Canonical showed off Ubuntu running on a Meizu MX4 LTE phone at Mobile World Congress in March. Meizu’s phones should go on sale soon. 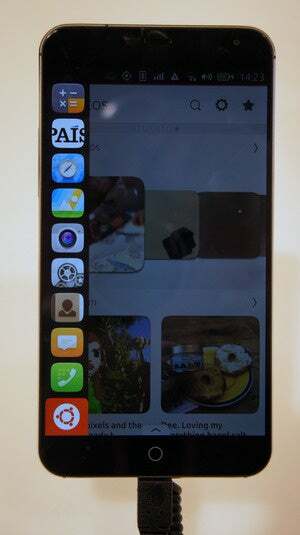 Canonical's Ubuntu Phone OS running on the Meizu MX4 LTE. Previous rumors have suggested that Canonical might have the rights to sell these Meizu MX4 phones worldwide through their own online store. This would mean the rest of us could finally get our hands on a proper Ubuntu phone—not just Ubuntu running on not-officially-supported Nexus devices —and try it for ourselves. The wait isn’t all bad. It may actually be for the best. The Meizu MX4 will be more of a “flagship” device, with a 1920x1152 display, at least 16 GB of internal storage, and 2 GB RAM. Ubuntu Phone should perform even better on this device, and it seems like this is the phone Canonical wants to present Ubuntu to the world on. This flagship phone should be more expensive, though. Given the price of the equivalent Android model, I’d expect to see it retail somewhere around $350-$400 off-contract. So, is it time to buy an Ubuntu phone if you live in the EU? Well, maybe—if you just can’t wait, or you’d rather get a more inexpensive Ubuntu phone. Linux geeks looking forward to Canonical’s vision of convergence don’t need to rush, though. Ubuntu phone doesn’t yet offer the convergence features we’re all looking forward to, like the ability to plug them into a larger display and have your phone power a full Linux desktop. We might have to wait a few years to see that up and running. For now, the big selling point of Ubuntu phone is its unique interface.